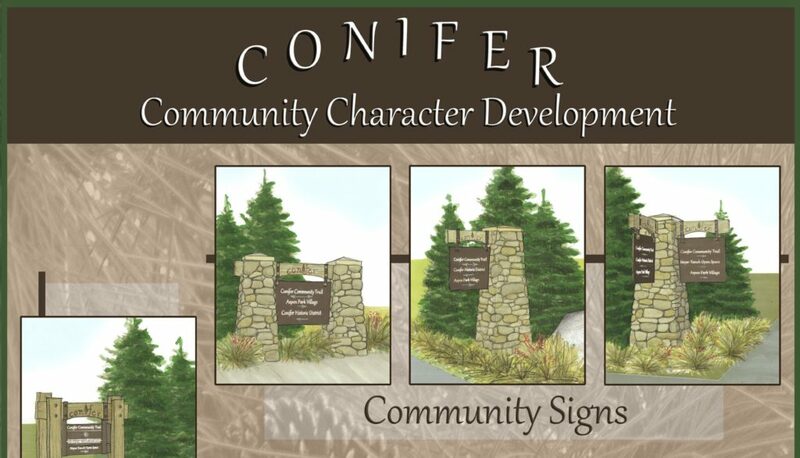 Our Conifer Community Character Development Study Group has been working on possible ideas for signage, benches and other amenities to help define the character of the Conifer area. Wayward signage could be used for trails, historic sites and information, business and community events. Stay tuned. Community input is paramount in this endeavor. Click the image to the right to download a full PDF version of these sign designs.